A group of engineering and computer science students from the University of Western Australia (UWA) was among more than 2000 international teams that designed solutions for real world problems in the recent NASA Space Apps Challenge 48-hour hackathon. The annual global event has been held since 2012. This year, challengers competed in more than 200 locations across 75 nations to tackle ‘mission critical’ issues nominated by scientists from NASA based on the theme of ‘Earth and Space’. Space App challenges were held in five Australian cities: Perth, Adelaide, Melbourne, Brisbane and Sydney. In total, more than 600 people took part across the country, with the biggest turnout in Sydney and Brisbane. 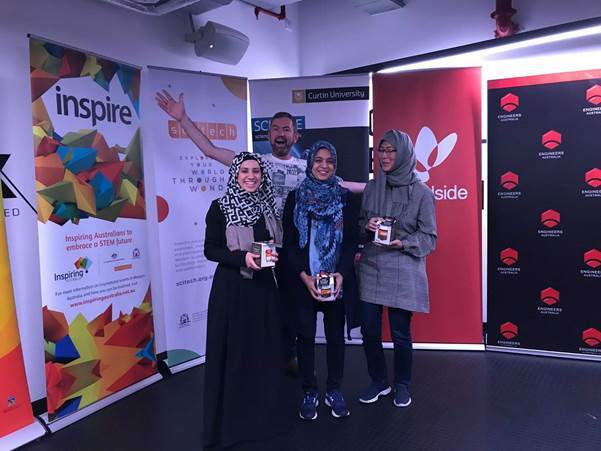 USafe, a three member team from UWA, was awarded an honourable mention in the Perth Space Apps event for designing the most practical solution to the ‘Don’t Forget the Can Opener!’ challenge — which required them to design a way for people to create custom checklists to plan for different kinds of natural disasters. Challenge participants were asked to use NASA images, videos and data visualisations to help people understand how best to prepare. According to team member Sanabel Abu Jwade, a student in the university’s Master of Professional Engineering in Software program, she and the other team members worked collaboratively to develop their solution. “I prepared the presentation slides and pitched the solution, Areej developed a prototype for the solution and Saima conducted background research to understand the challenge and its magnitude,” said Abu Jwade in a media release. Teammates Areej Alsini and Saima Safdar are PhD students, in computer science and mechanical engineering respectively. Abu Jwade said the hackathon was a great chance to use their knowledge to propose a solution to a real-world problem. “It was full of thoughts, discussions, planning and fun. We also got to meet many technology entrepreneurs, which was very inspiring,” she explained. Each local event has announced a People’s Choice Award and nominated their top performing teams to be judged by NASA scientists in the categories of galactic impact, most inspirational, best mission concept and best use of data, hardware, and science. 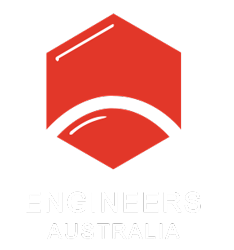 The Australian nominees included an educational virtual reality game for kids, which uses NASA data to simulate a realistic space environment; a device known as a ‘Mars Bar’ which displays vital environmental data for interplanetary explorers; and a marketplace layer that connects satellites to ground stations. NASA will announce the 30 global finalists in early December, and the overall winners in mid-January next year.